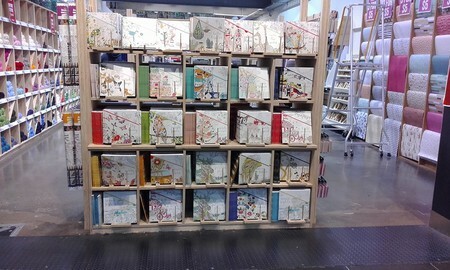 A wide variety of coloring books/relaxation books/kids books and more at Kaisercraft Spencer. Situated in the very large Spencer Outlet Center above the station, the store is large, open plan and clean. It is full to the brim with Kaisercraft products. So many products to suit all of your craft/art and projects needs and ideas. From die cut shapes and pictures, to artificial flowers, stickers, stamps, lettering, cards, wraps, books, paper, cards and so much more. There are thousands of items waiting in store for you to choose from. Pop in and see for yourself how the Kaisercraft store at Southern Cross Station Melbourne can cater to your crafting needs.